Positional words activity set teaches your children how to follow multi-step directions while learning positional words and rhymes. Children will use a spinner to tell them where to place picture cards to provide a fun, playful learning experience. Plus, it also includes multiple instructional rhyming games and activities. Visual, tactile and auditory learning styles help children develop fine-motor skills, language skills and more. 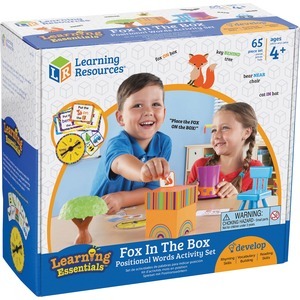 Activity set is designed for children ages 3 and up.